The dreaded interview process is a gauntlet that must be run by every graduate. 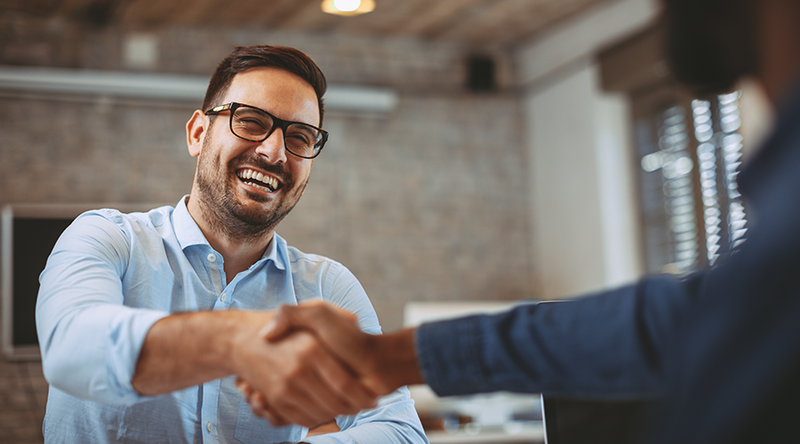 Although the process is undoubtedly daunting, there are some substantive steps that all candidates can take to give themselves an advantage over their peers. Know the Business – The candidate who knows the employer’s website backwards and forward is likely to stand out from those who only seem to have a cursory knowledge in the operations of the business. Research the Industry – Certain industries require a specific type of graduate. As such, it is often possible to have a fairly good idea as to the type of industry-related questions you might be asked in your interview through a quick Google search. Preparing thorough answers to these general questions will give you a real leg up over the competition. Be Prepared – Pick out an appropriate interview outfit for the job you’re interviewing for and lay out all other necessaries the night before the big day. It’s really not worth leaving anything to chance! Be on Time – It’s a no-brainer that your interviewer is unlikely to view your tardiness in a positive light, regardless of the ingenuity of your explanation! Be Yourself – Pretending to be someone else to land a job is counterproductive for all parties involved. There is simply no point in taking a job that is ill-suited to your personality while you are likely to be cornered into an inescapable net of contradictions in the interview itself if you don’t answer honestly. Ask Questions – It is often a good idea to ask a few questions of your own in the interview process, not only to keep the interview flowing, but also to convey to the interviewer that you respect yourself and won’t accept just any job. Questions about job specifics and the company itself demonstrate that you have taken the time to research the job you are applying for. Posture – An extension of the way you present yourself, your posture is often regarded as a key indicator of your true personality. Consequently, be sure to sit up straight, keep your hands from fidgeting and maintain eye contact throughout. Don’t Get Flustered – Try to keep a cool head for the duration of the interview. This will help you deliver more concise answers and will serve to signal to the interviewer that you handle stress well. Be Enthusiastic – If you can show the interviewer that you’re both enthusiastic to work there and excited to learn, then you are almost guaranteed to make the short list. Show What You Know – At the end of the day, a company will only hire you if they think that you’re capable of doing the job. Unsurprisingly, it falls to you to convince the company of this fact during your interview. Accordingly, be prepared to show off your knowledge and explain just how this knowledge can benefit the company. To have a solid academic foundation off which to base your job application is crucial. If you’re interested in securing such a foundation, be sure to check out VUT’s list of academic programmes.